← The Lost Cartoons: Most found, one still elusive. Love. Not easy to find in some parts of the country. Wowee wax whistle. A favorite at Hallowe’en time. Gone forever. 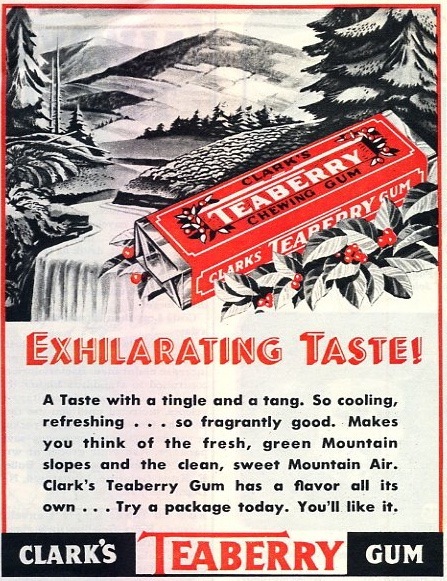 Teaberry gum. Still available. Long my favorite in high school. A movie theatre standby, as ubiquitous as Raisinets. Loved these little guys. Still available. B-B Bats. 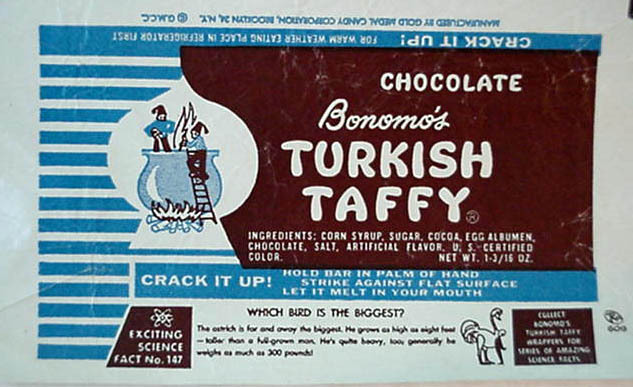 A favorite at the penny candy store, often bought in conjunction with Sugar Daddy bars. Still available. Chunky. Still available, although the original used to be wrapped more tightly, and cost 5¢ back in the day. So many more, and most are listed elsewhere on the Interwebz. was successfully resurrected from the dead because enough people clamored for it. 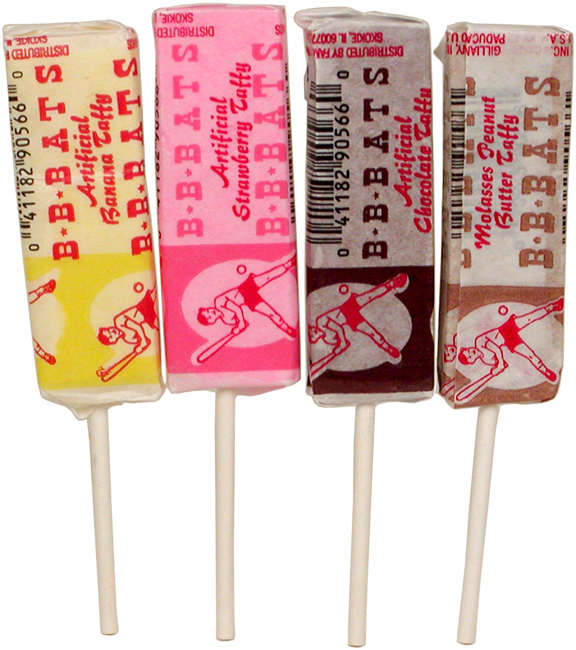 Used to get these when I’d go ice skating in New York. They were my favorite, sort of a cross between a Milky Way and a Three Musketeers. Gone forever. The Old Wolf has spoken again. 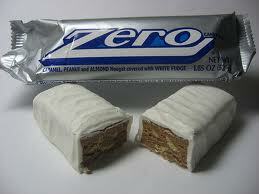 This entry was posted in Food, History, Memories and tagged Sara Lee, Vintage candy. Bookmark the permalink. 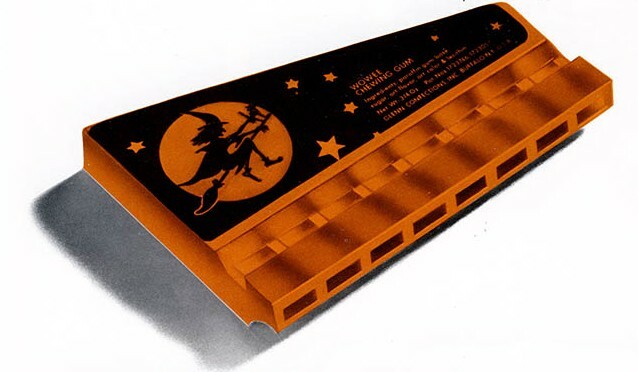 Remember candy cigarettes? Gone too–I sincerely hope. I do – and bubblegum cigars. Both still around, I fear me. 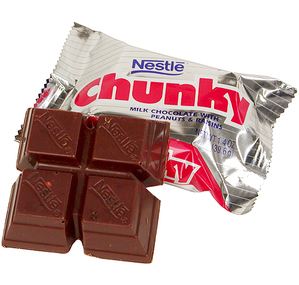 I remember Arnold Stang promoting Chunky “Whatta chunk of chocolate!” and grew up on Milkshake candy bars, many times they had a stick in them and were in the coolers. Bring back Milkshakes…. 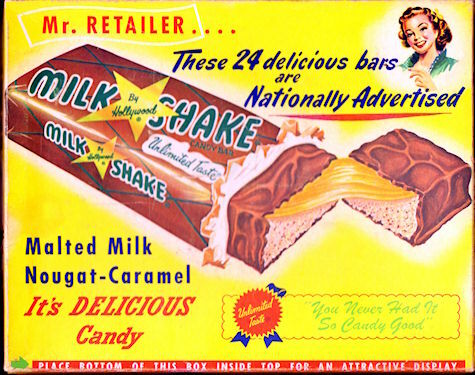 I hated it when they were out of Milkshake bars and I had to settle for Milky Way. Nowhere near as good. So THAT is what Jujubes are! 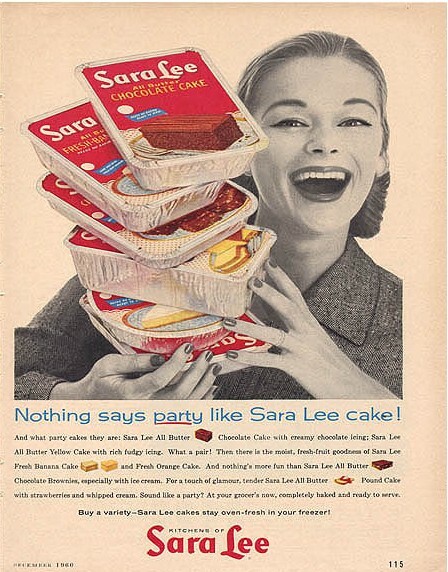 Sara Lee frozen brownies!!!! 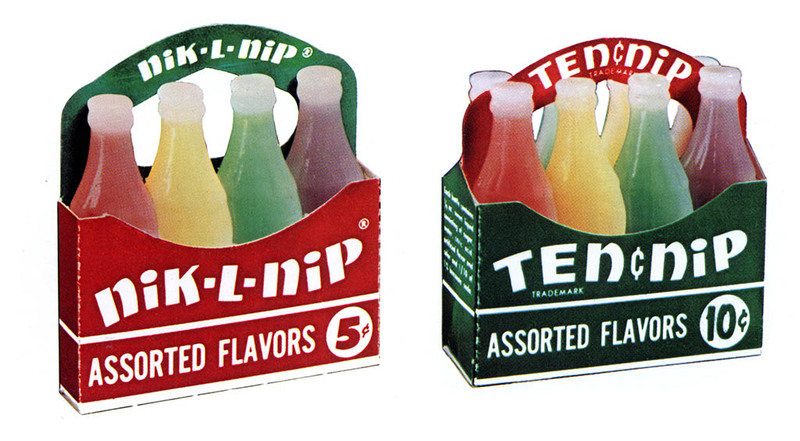 They were like crack. My best friend an I would open a package of them and eat the whole thing in one sitting! 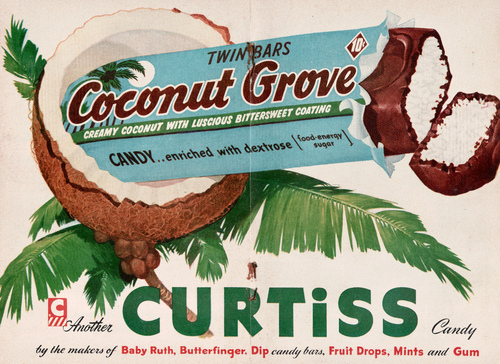 The Coconut Grove one looks rather like our Bounty chocolates, which also come as two small bars in one pack and, to my knowledge, are still very much available in stores around here … and somehow I now have this strange craving for one … just one … maybe two?